You can find very useful information about traveling with your dog and many other dog related topics by following Raja's Blog, please be sure to visit. 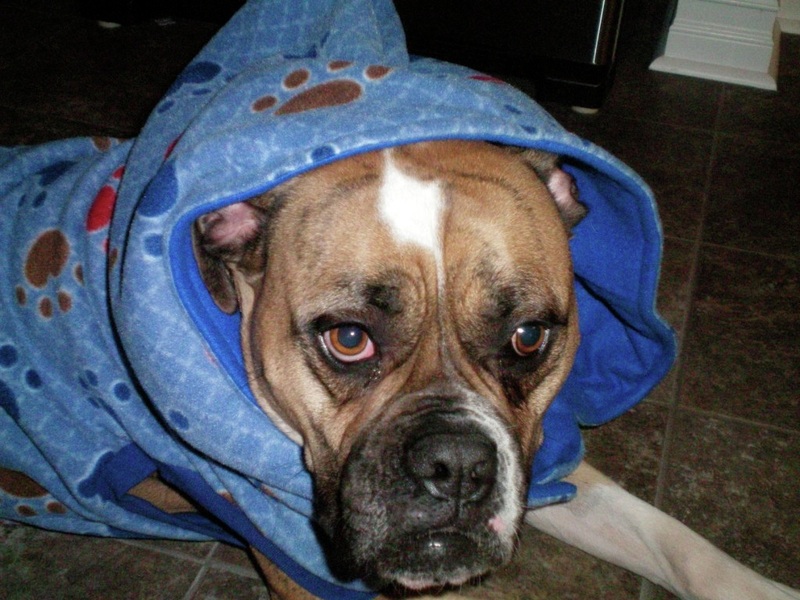 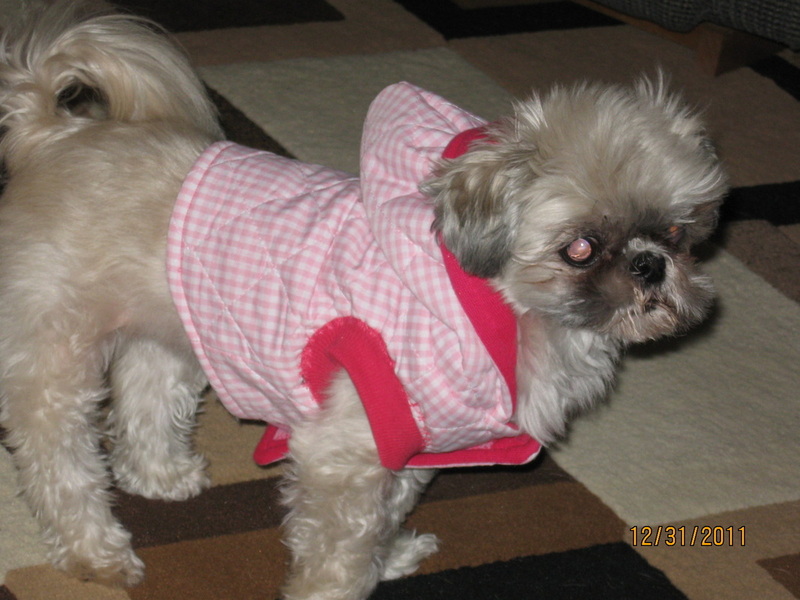 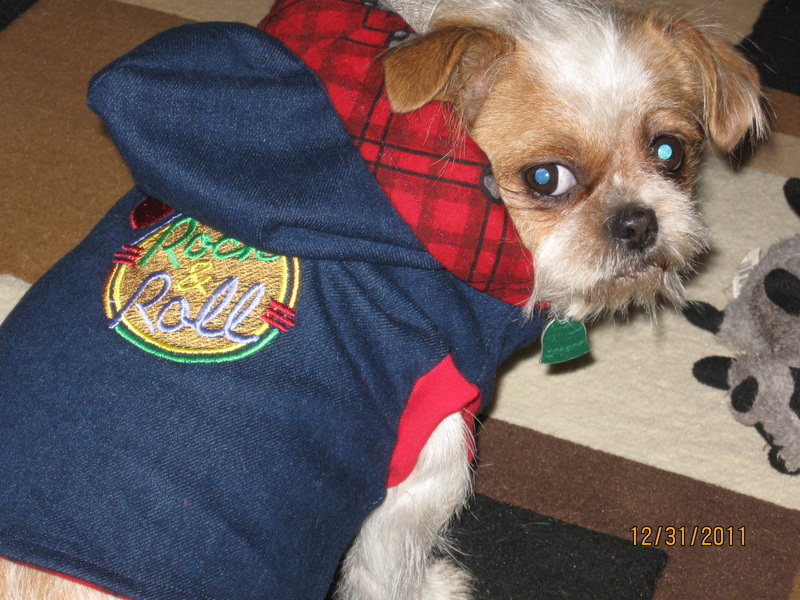 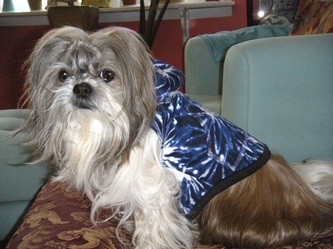 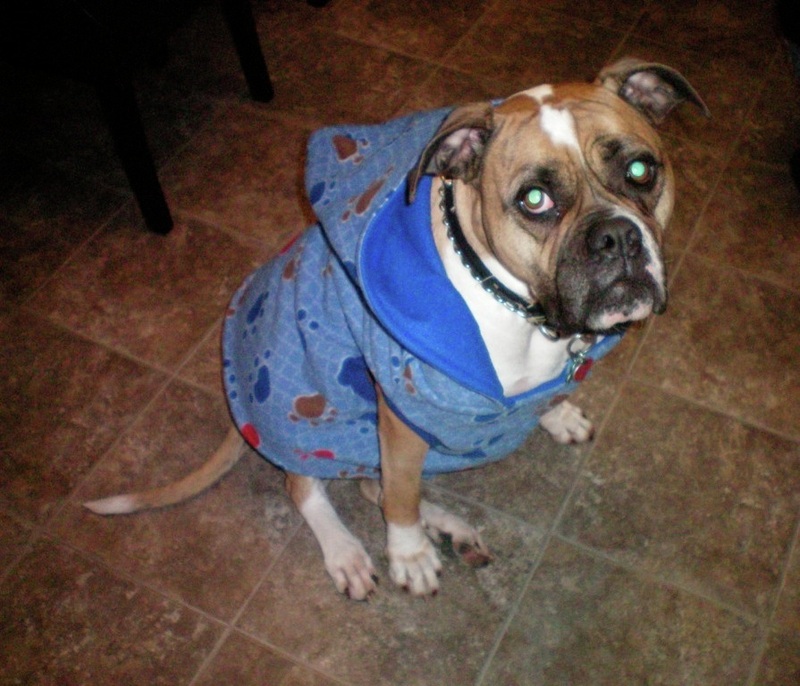 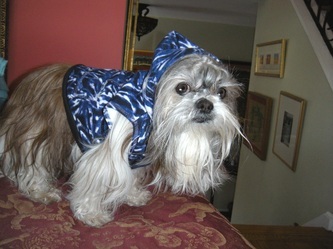 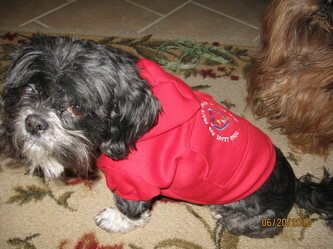 Tonka is wearing an XLarge hooded coat, if you would like one custom made for your dog please email me. 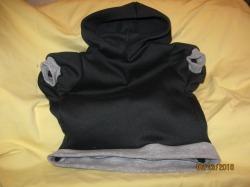 This is a black fleece fabric with gray ribbing on the sleeves and waist. 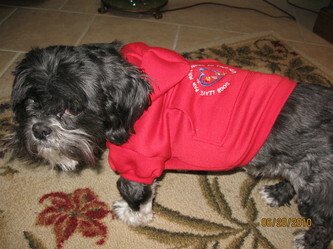 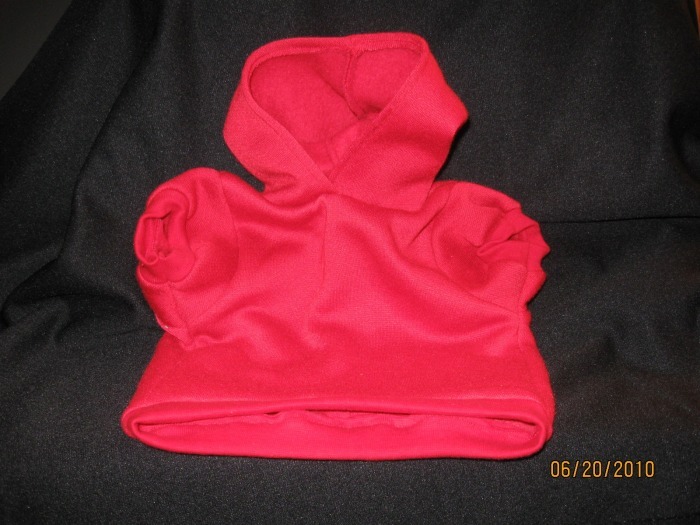 This hoodie will keep your doggie warm during the cooler fall and winter months. 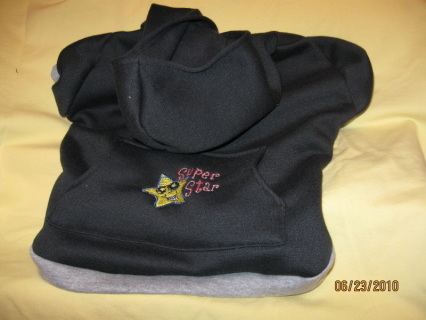 The pocket on the back says "Super Star" and has a star wearing sunglasses. The shirt back is 12" long from the neck to bottom of ribbing and the chest is 10" long; it is approx. 20" around the chest.